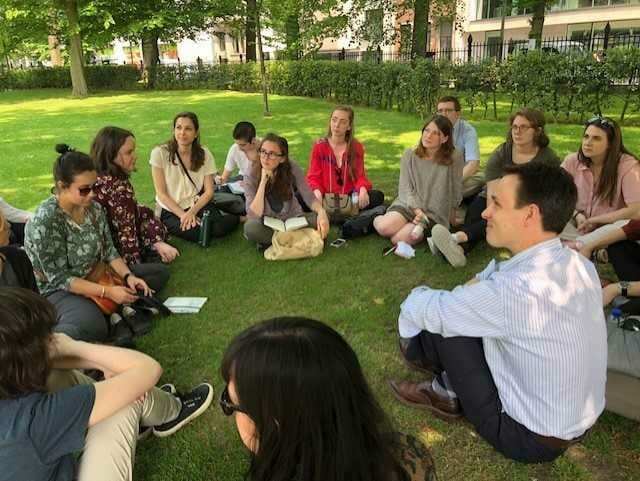 Embarking on a Chatham field experience introduces you to your new host culture, making it a great preparation to go abroad again on a longer program. You have enough freedom on these shorter programs to experience the day-to-day of living abroad and get infected with the commonly known ‘travel bug.’ On the field experience your faculty, in my case, two American professors from Chatham, knew where they were and how to operate in the host country. There’s a sense of ease that comes along with that. When abroad on other programs, teachers of your host country invite you in, as an insider to the society. This link gives you a different experience from being invited in by an outsider, however experienced. Two or three weeks in a host country is a significant, meaningful experience, but you will be seeing that country, at least in my case, in more the role of a visitor, as opposed to when you stay for an extended period. The way you relate yourself to your new surroundings begins to change significantly as you stay for an extended period in the host country. You may feel more inclined to take the leap, and relate yourself to your host country through understanding the language, cultural nuances, and other things when you stay for longer. In my case, I had already completed three months abroad before joining a short-term field experience with Chatham, a little over two months in Italy and one month in Korea, yet these shorter experiences in each culture did ultimately prepare me for my semester in Prague, and shaped my experience there greatly. Through all of my experiences abroad, I learned a lot about being self-sufficient, and independent. I also learned a lot about flexibility, and how advantageous it is to be the most adaptable version of oneself possible. 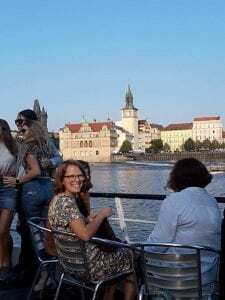 When I was in Prague, I was game for just about anything because I realized what I would take away from my experiences abroad—the things I would remember most, and mean most to me. I could see what changed me the most significantly as a person then, and wanted to keep pursuing those things when in Prague. Those usually were the things that I never would have done before going abroad. Basic things like being confident in myself, my judgement, and just generally feeling good in my own skin, all grew from my willingness to put myself out there all the time. Melanie Landsittel is majoring in Visual Arts and will graduate in spring 2019. Melanie is a student assistant in the Office of International Affairs.